DS-Connect is a secure database that stores health and demographic data about people who have Down syndrome. The information is anonymous and helps researchers find the information they need to create new studies and work on projects to improve the health of people living with Down syndrome. During the recent 321 eConference, I was in the audience when Dr. Sujata Bardhan explained how the registry works and why everyone should get DS-Connected! Near the end of her talk, she played the video that can be found on the NIH website. 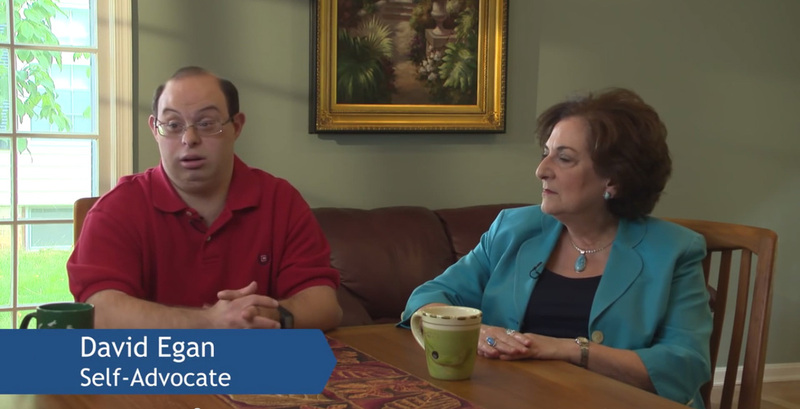 I was so impressed by David Egan, a self-advocate who talks about the importance of research. Also making an appearance in support of the registry is Dr. George T. Capone from the Kennedy Krieger Institute Down Syndrome Clinic and Research Center in Baltimore, Maryland. Aside from being one of my all-time favorite doctors, he’s a dedicated advocate and his research includes important things like Autism and sleep issues in people with Down syndrome. Check out the video and stay tuned for answers to a few questions from Dr. Bardhan later in the month. 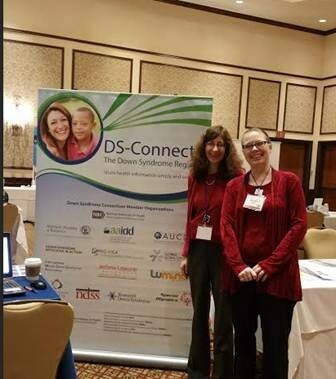 We asked our friends at NIH a few questions about Ds-Connect and here’s what they said. 1) How did NIH work with the whole Down syndrome community to develop DsConnect? In early 2006, the National Institutes of Health (NIH) Director asked the (Eunice Kennedy Shriver National Institute of Child Health and Human Development (NICHD) to lead the formation of a Down Syndrome Working Group that would include scientists from across the NIH. The Working Group was charged with coordinating ongoing research already supported by the NIH related to Down syndrome, and to enhance new, NIH-supported research efforts. The Working Group, with input from the outside scientific and family communities and at the request of Congress, created the NIH Research Plan on Down Syndrome in 2007 to focus on genetic and neurobiological research relating to the cognitive dysfunction and the progressive late-life dementia associated with the condition. The plan aimed to build upon ongoing NIH-supported research on Down syndrome, reflect the changing lives of the individuals and families affected, and take advantage of emerging scientific opportunities. 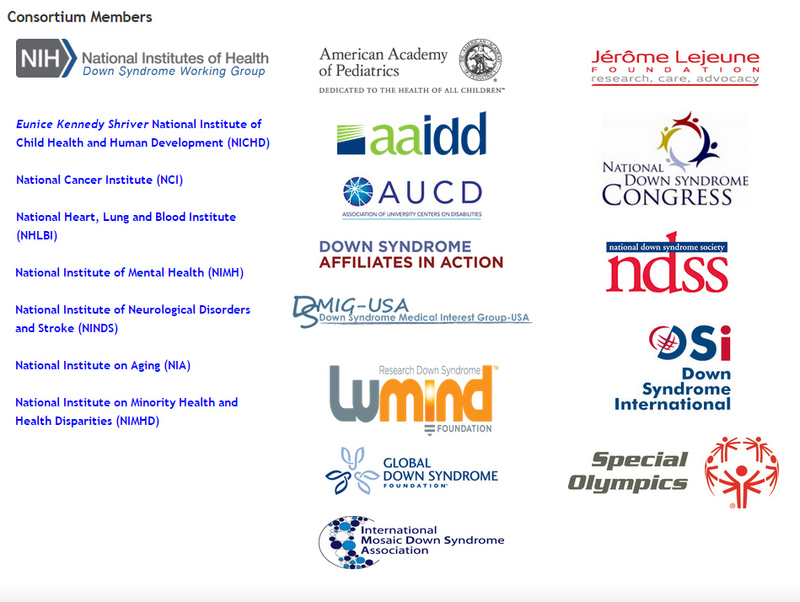 After several years of working with scientific and family communities to achieve the various goals of the plan, the NIH created the Down Syndrome Consortium to foster communication and idea-sharing among the NIH, individuals with Down syndrome and their families, national organizations interested in Down syndrome, and pediatric and other organizations. 2) How are the members of the DsConsortium chosen? 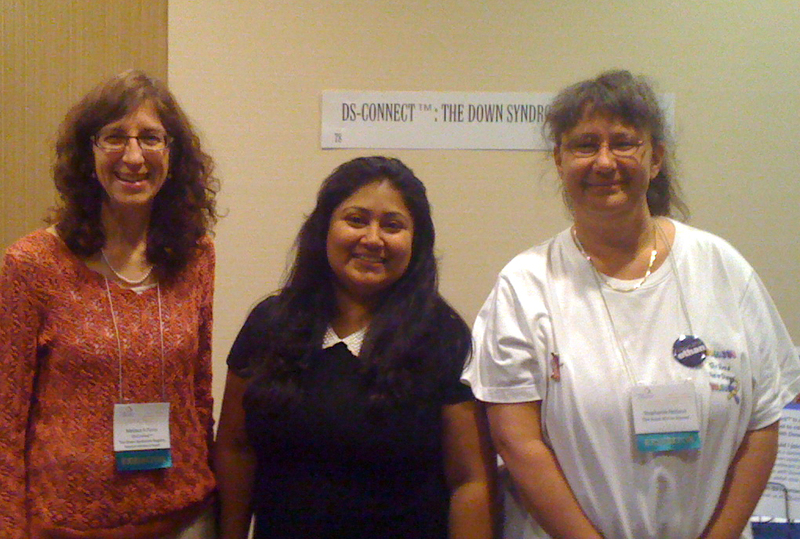 The Down syndrome working group partner with the major national and international Down syndrome groups and formed the DS Consortium. Later, the group nominates and votes for additional members to join. 3) What are the long-term benefits of the registry? Help connect people with DS who may be interested in participating in research to scientists who study DS. Speed up research in DS by collecting information that scientists can use. Help scientists learn why people with DS have different symptoms. Help healthcare providers improve how they treat people with DS. Advance our understanding about how and why certain treatments work or don’t work by quickly publicizing the results of studies on DS. Thank you so much Dr. Bardhan for taking the time to talk to us! 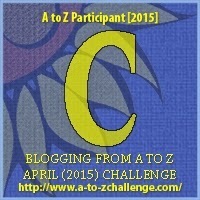 Previous PostB – Bloggers AdvocatesNext PostCollaboration with D.A.D.S.